In an era of tight IT budgets, finding an efficient, user-oriented IT environment can be a challenge. Schools and charitable organizations in particular must ensure that the costs remain manageable. With the MultiPoint Server, Microsoft offers an attractive alternative. With its provision for virtual desktops via Hyper-V, workstations with Windows 7, 8 and, in the near future 10, can be provided as virtual machines on the same host computer as the one running the server operating system. When it comes to accessing the virtual desktops, IT decision makers can now opt for IGEL thin and zero clients with the Linux operating system. As secure front-end devices, they impress with their low procurement and operating costs, above-average operating life and excellent management capabilities. Microsoft offers particularly low-cost license packages for academic institutions and charities. In order to set up a MultiPoint Server-based environment, IT managers need to take into account the following components and licensing fees: a high-performance host computer hosting the MultiPoint Server operating system, thin/zero client hardware, the Windows MultiPoint Server 2012 license plus the so-called Client Access Licenses (CAL) for each workstation provided. On top of this, there are the costs for the virtual Windows 7/8 desktops. Compared to conventional VDI models, the MultiPoint Server solution offers a low-cost introduction to virtual desktop computing, especially in scenarios with up to approx. 15 workstations. Designed as an operating system for multiple-user computers, the MultiPoint Server makes working in a school setting easier and combines a number of practical features which are necessary for class work. These include showing the supervisor screen on all or individual clients, blocking entries at selected workstations or launching applications centrally. 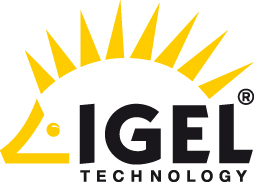 Windows MultiPoint Server 2012 will be supported from the latest firmware version (5.07.100) for the Linux-based IGEL thin clients in the UD series and for the IGEL IZ2/IZ3 RFX zero client models. The firmware can be downloaded free of charge from www.myigel.biz. Details of the prices for Windows MultiPoint Server 2012 are available from certified systems houses.